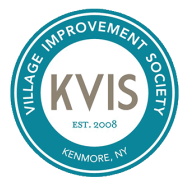 In 2014 the KVIS submitted an application to be considered for the All America City Award (AACA). This Award is bestowed annually on ten communities across the United States. We were greatly honored to be among the top 24 communities that were chosen as finalists along with places like Fort Lauderdale, FL. Although we did not receive the award, we represented our community very well and now have the first hand experience needed to help us win when we next apply. Each AACA Finalist Community was asked to make a quilt square representing their community and now that quilt is touring those communities. The quilt came to Kenmore in early May of 2015. A quilt viewing thank you party was held at The Delaware Bistro that week. Many people donated financial resources to make it possible for our Kenmore delegation to go to the AACA Finals in Denver. Without these individuals and businesses we could not have represented our community in this way. The AACA National Civic League process and experience gave us a bounty of inspiration that we are continuing to utilize today in all aspects of our involvement in our community.